Now grind the lentil into a thick and fine paste, Boil the bottle guard skin and finely chopped . 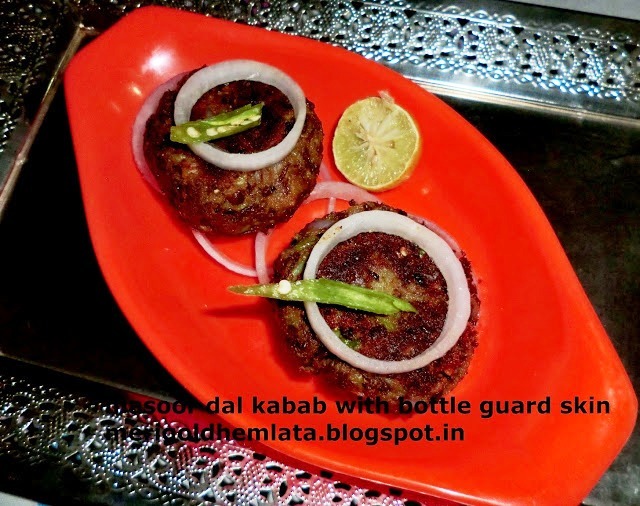 Now make the kabab shape and shallow fry them till golden brown . Serve hot with green chutney, onion rings and lemon slice.